My folks came out to visit me last weekend (Hi Mom! Hi Dad!) and we spent three days exploring the Puget Sound, riding the ferry, and eating too much good food. It was great to get to spend time with them without having to worry about doing all the holiday stuff that comes with visiting at Christmas or Thanksgiving (not that I mind making Christmas cookies and eating green bean casserole). And not to sound too materialistic, but Mom brought me a present! 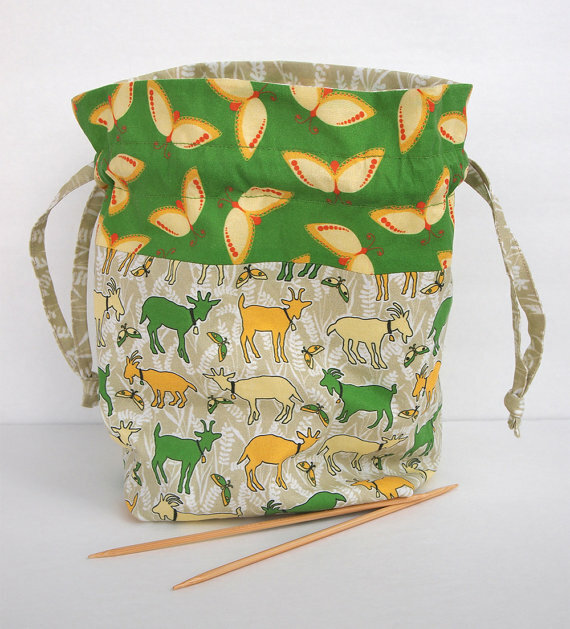 An adorable little project bag, perfect for a pair of socks-in-progress. And, do you know the best part about the project bag? 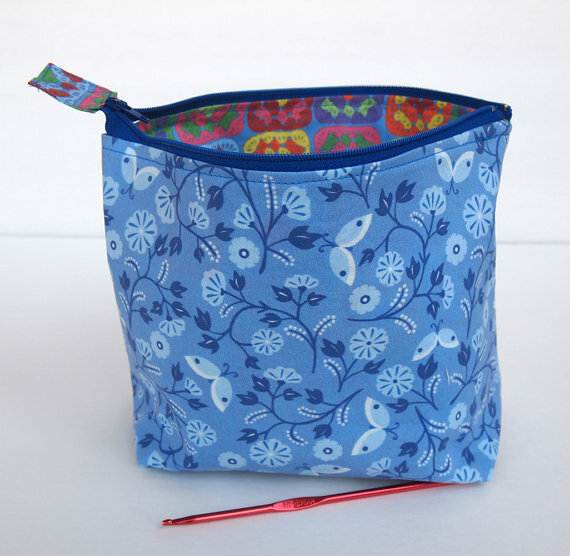 She designed and made it herself- from sewing the bag all the way down to creating the fabric designs! I know, right! Look at those goats! Adorable! She actually has on a whole line of knitting- and crochet-inspired patterns, and then is using them to make bags, pouches, chidren’s clothes, and all manner of useful things. 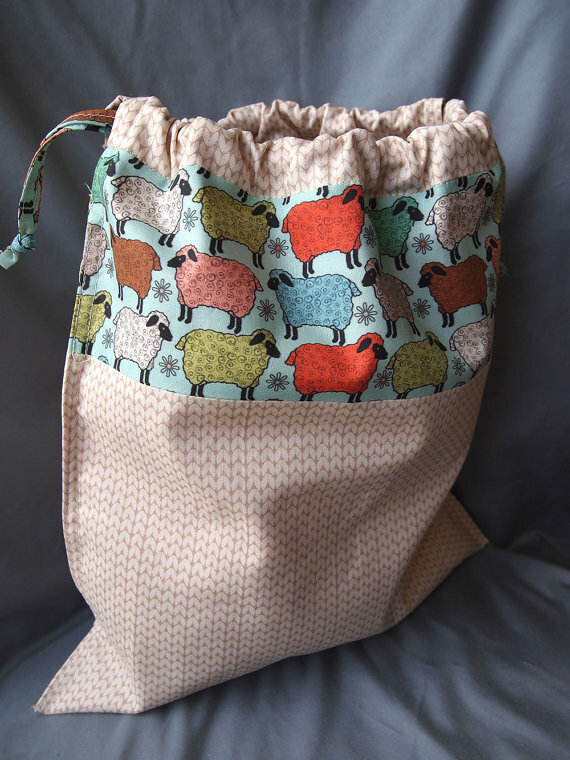 Look at this sheep/stockinette project bag. Could you get any cuter? 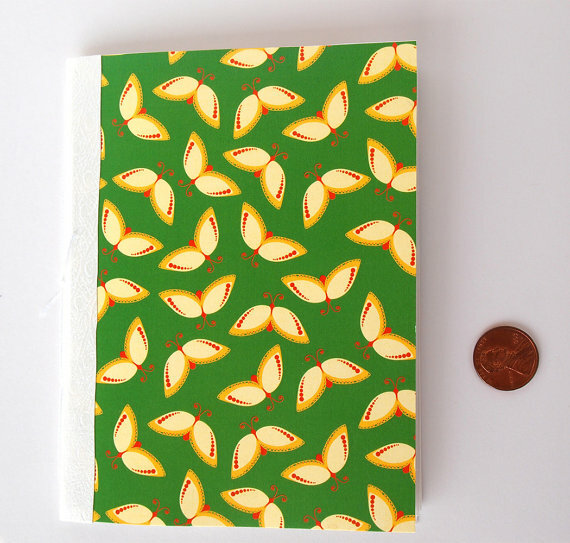 And, she’s even making little hand-bound notebooks, perfect for throwing into your matching knitting bag! This entry was posted in About the Blog and tagged design, fabric, fabric design, laura mooney, mom, mother, paper or threads, project bag, sewing on September 30, 2015 by onemilljellybeans. But this post isn’t so much an Inspiration Post, as a PSA. Everyone! Pay attention! Mother’s day is this Sunday. And our moms who dressed us up in matching outfits. I get the impulse behind the idea. I mean, kids are always cute when they look like tiny adults. And, Lord knows, I can’t hold myself back when I think of a new craft project. But there is a right way and a wrong way to execute the whole matching knitwear thing. Exhibit B: This girl looks like she’s having fun, at least. And the dress isn’t terrible. I wouldn’t wear it with a white T-shirt and a pair of kakhis, but maybe that’s just me. So, don’t forget, folks! Call your mom on Sunday! 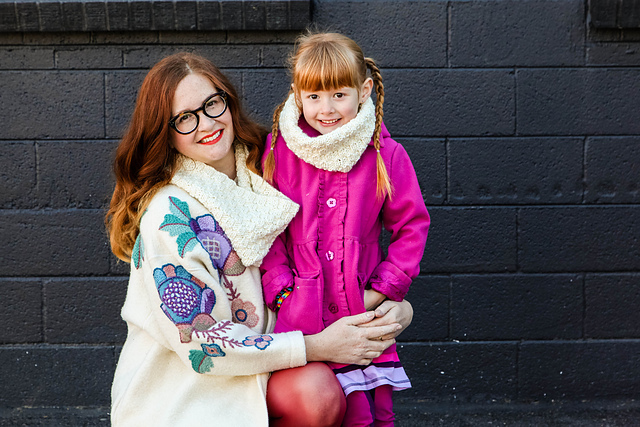 This entry was posted in Inspiration and tagged knitting, mom, mother, mother-daughter, mother-daughter outfits, mothers day on May 6, 2015 by onemilljellybeans. Everyone (at least in the US), knows Mr. Rogers, and his beautiful kids’ TV show, Mr. Rogers’ Neighborhood. 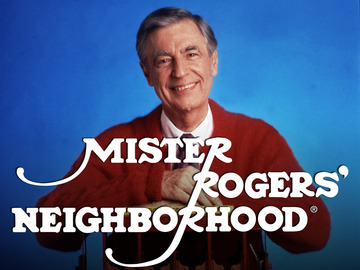 Each episode begins with Mr. Rogers entering his house, changing his shoes and zipping up (or buttoning up) a cardigan sweater while singing “Won’t You Be My Neighbor?” (I still know all the words more than 20 years after I last saw the show.) But, did you know that all (or at least, nearly all) his sweaters were knit by hand by his mother, Nancy Rogers? How wonderful is that? It totally makes sense. 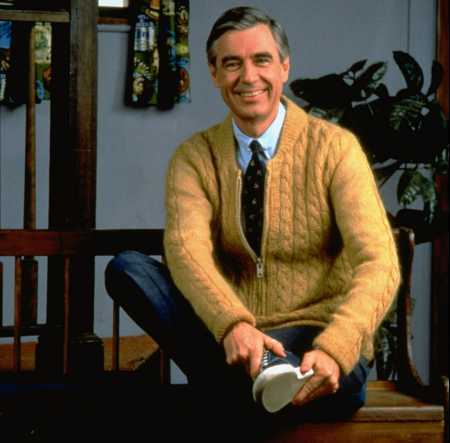 Of course Mr. Rogers wore sweaters knit by his mother! 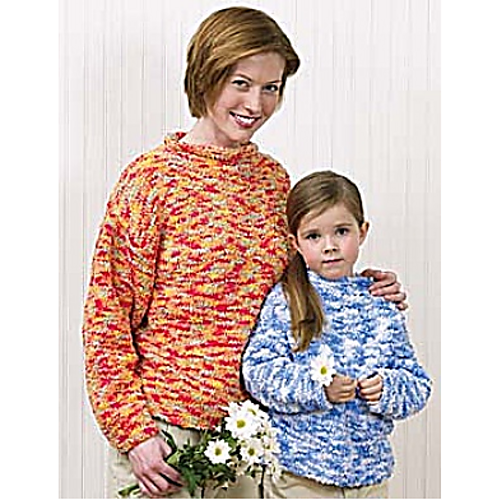 One of her sweaters has even ended up in the Smithsonian. You can visit it in D. C. next time you’re there to pay respects to Mrs. Rogers. Mr. Rogers’ mother must have been a pretty amazing lady. So let’s raise our knitting needles to Nancy Rogers (and all the other amazing mothers) this Sunday while we celebrate Mothers’ Day! This entry was posted in Inspiration and tagged cardigan, Children's Television, children's TV, kids tv, mother, mothers day, mr rogers, nancy rogers, rogers, sweater, TV on May 9, 2014 by onemilljellybeans.